White and Williams is proud to announce that its Adopt-a-School Initiative was recognized by the Legal Marketing Association (LMA) at the 2015 Annual Conference. The firm's Adopt-a-School Initiative won second place in LMA's 2015 Your Honor Awards program in the Community Relations category. Your Honor Awards is the longest-running national award program recognizing excellence in legal marketing. 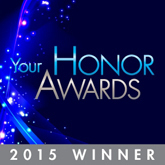 More than 170 entries were submitted for consideration to Your Honor Awards in 2015. The White and Williams Adopt-a-School Initiative began in 2011 as a way for the firm to give back to the local community, invest in education and provide a unique opportunity for lawyers and staff to engage through the investment of time, finances and resources. Following two successful school adoptions in Philadelphia, the firm expanded the initiative in 2014 to New York and Lehigh Valley. The initiative was recognized for successfully achieving its objectives which were to increase community involvement, provide volunteer opportunities for employees, raise the firm’s profile and create newsworthy stories. The initiative continues to provide enrichment for firm employees, boost morale and strengthen community ties.